Are you a webmaster who is getting lots of traffic daily? Are you the one who is frustrated from shared hosting and want to go for some other hosting? If your answer to the any of the above question is yes, then you are at the right place. Today I will show you one of the best Linux Cloud Sever hosting companies in this post. Shared hosting is the most popular form of the hosting which many bloggers and webmasters are using. Shared hosting is affordable and easy to set up. In shared hosting, resources are shared between multiple sites. So your site may load a bit slow. On the other hand, many people are recommending VPS hosting because in VPS, your website will have separate resources. So in VPS, your website will load fast and become more secure. But in today’s time, many online businesses are starting to use cloud Server. The reason behind choosing the cloud server is quite simple. While using cloud server, you don’t have any resources limit. There will be clusters of the server which can handle your website. You need to be picky while choosing the best cloud server for your website. If you make mistake then your website will get affected. Today, I am going to write a complete review about Linux Cloud Server of Host1Plus. In Host1Plus Linux Cloud Server, you can scale and use resources as per your need. Your website is not bound by the physical size of the server. You can easily scale your cloud-based machine when needed. Host1Plus is using latest technology and API. With the latest API, you can easily access control panel functionality. You can also get the advanced cloud networking features. Backup of any website should be done periodically in order to maintain security. In Host1Plus Linux Cloud Server, the backup is done on the daily, weekly and monthly basis. This backup is automated. You can also take backup whenever you want. With the help of Custom ISO, you can easily mount a configured image on your cloud instance and run through the boot and set up processes. The Linux Cloud Server of Host1Plus is pre-installed with the most popular Linux Operating System. You will get Linux operating system like CentOS, Debian, Feroda, Ubuntu etc. pre installed on servers. Why to Choose Host1Plus Cloud Hosting? 1. Host1Plus Hosting provider is very flexible in nature. They will make sure that you will get the exact things. When you approach them with your requirements, they will suggest you the best plan which can fulfill the requirements. This way they will ensure that you will get the exact thing which you are looking for. 2. The customer satisfaction ratio for Host1Plus cloud hosting is very high. They are number one in customer support. The customer support is available for 24*7. 3. They are using Latest technology and hardware. The biggest fear of any webmaster is downtime in the website. Host1Plus servers are removing this fear by using latest technology and hardware. 4. Host1Plus is using KVM for their servers. KVM means Kernel-based virtual machine. With KVM, you will get excellent performance and great scalability for your website. 5. They provide a dedicated IPv4 address to your website. This way Host1Plus will ensure that your website will run in any given hour of the day. You will maintain the security of your customer’s data via IPv4. 6. You can change the plans at anytime. Whenever you feel that you need resources, Host1Plus will provide you. Whenever you feel that you want to downgrade the plan, you can also do the same without any worries. The smallest plan starts from as low as $4 per month in Linux Cloud Server. In just $4 per month plan, you will get 1 core CPU, 512 MB RAM, 20 GB disk space and bandwidth of 2 TB. 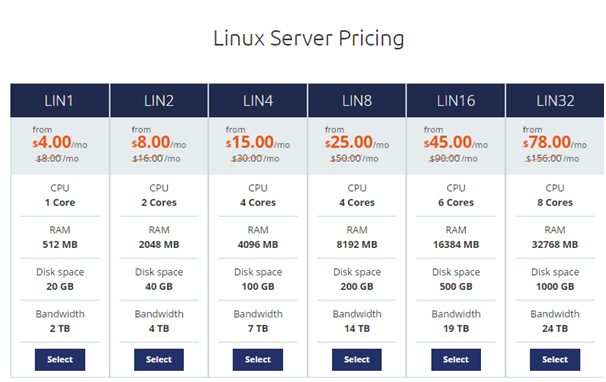 The biggest plan of Host1Plus Linux Cloud Server comes in just $78 per month. In the biggest plan, you will get 8 cores CPU, 32768 MB RAM, 1000 GB Disk Space and 24 TB of Bandwidth. I am a person who wants to try everything before writing for my blog. So I have tried Host1Plus Linux Cloud Server. I have used it for 15 days. In those 15 days, I have spent initial days in configuration only. It may look hard for the beginners but when you give some time to the process, you will learn a lot. Once you get used to it, you will feel very easy process. Once I messed up with my server and I contacted the customer support also. As I have mentioned above that the customer support is very good. I have solved the problem easily via the help of the customer support team. I strongly recommend you to use the Host1Plus Cloud Server if you are looking for the cloud hosting company. 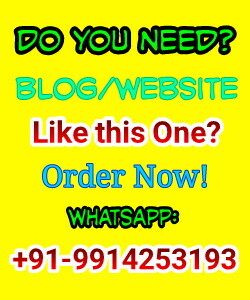 You will really enjoy the great uptime for your site. Feel free to share your experience about Host1Plus via comment box. If you like this review about Host1Plus then shares it with your friends and let them know the best cloud hosting company. Message: I hope that you have enjoyed 'Host1Plus Review: Linux Cloud Server Hosting Starts from $4 Only' article on Tips2secure. However, if you want me to deliver more items, then please share my post. You can use Social Sharing Widget provided at the end of every post. After all, Sharing is Caring!